This flu season has been rough, health-wise for my usually hardy kids- intestinal bugs, an ear infection, sore throats, runny noses, and the cough that won’t quit. 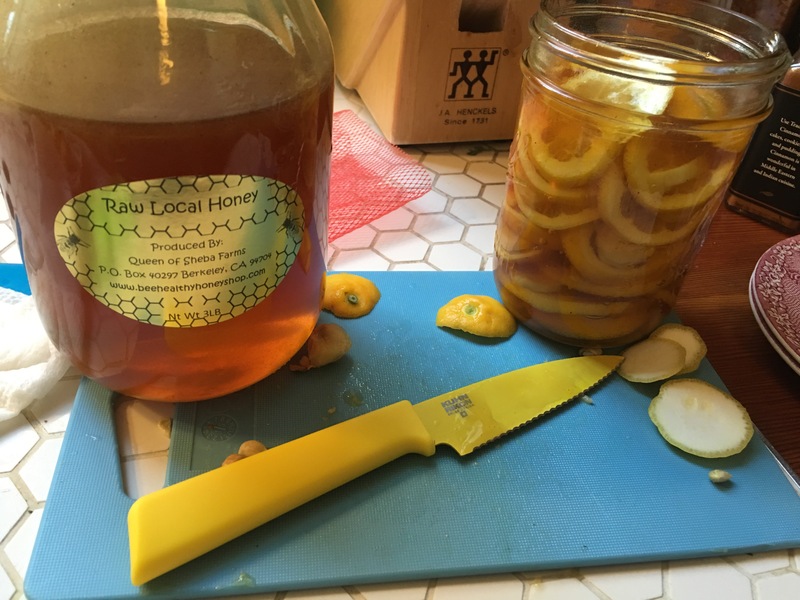 I like to have a jar of this on hand for soothing sore throats and clearing coughs and sinuses. 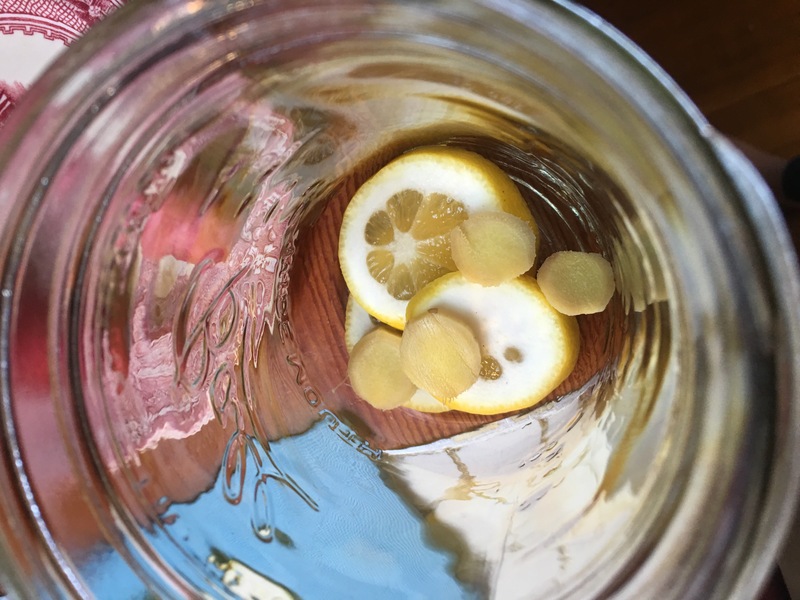 This is by no means my idea, but in case you haven’t tried it- lemon, ginger, honey tea syrup! 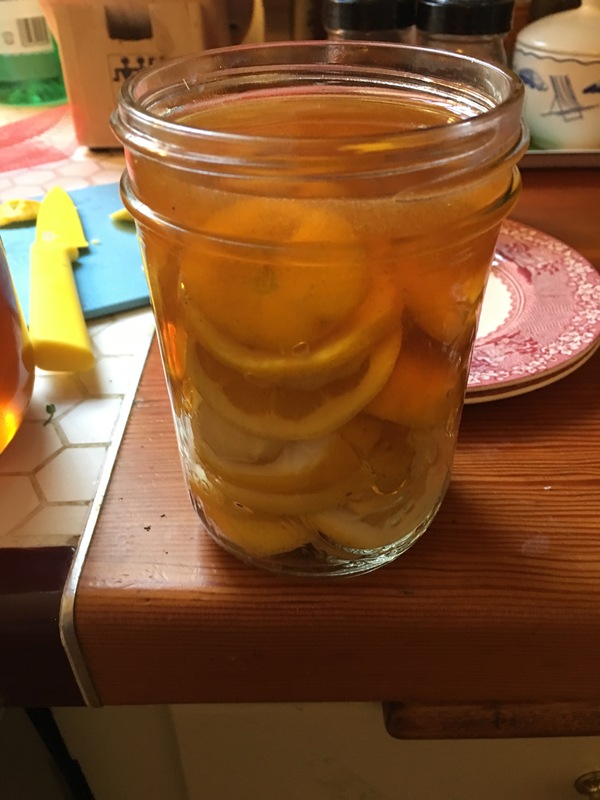 When jar is full almost to the top with layered lemon and ginger, slowly pour honey over, allowing it to drizzle down between the layers and fill all the empty space. Cover and refrigerate for up to two months(if it lasts that long!). Scoop out a big spoonful and stir into a mug of hot water for soothing tea, or take a teaspoonful of just the syrup to coat a sore throat or help a persistent cough. I shouldn’t have to tell any moms out there never to give honey to an infant under 12 months, right?